Another great 60" baler for your recycling needs. Great for producing a bale of cardboard that is perfect in size and weight for recycling. 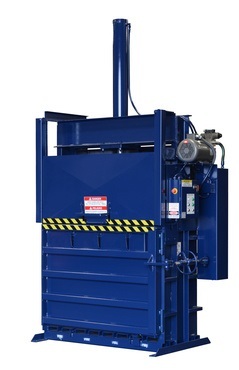 This baler is also good for baling plastics, metals, clothing and other items. Bales are denser than those produced with standard balers which saves you and your recycler space. 60-2852 Product meets or exceeds all ANSI Z245.5 and OSHA standards.